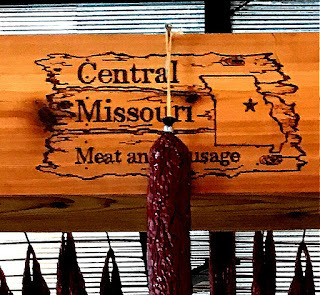 Besides getting an education about GMOs on the spring #FarmFoodTour this past April, I also discovered a delicious place not far from my family’s farm in Missouri. 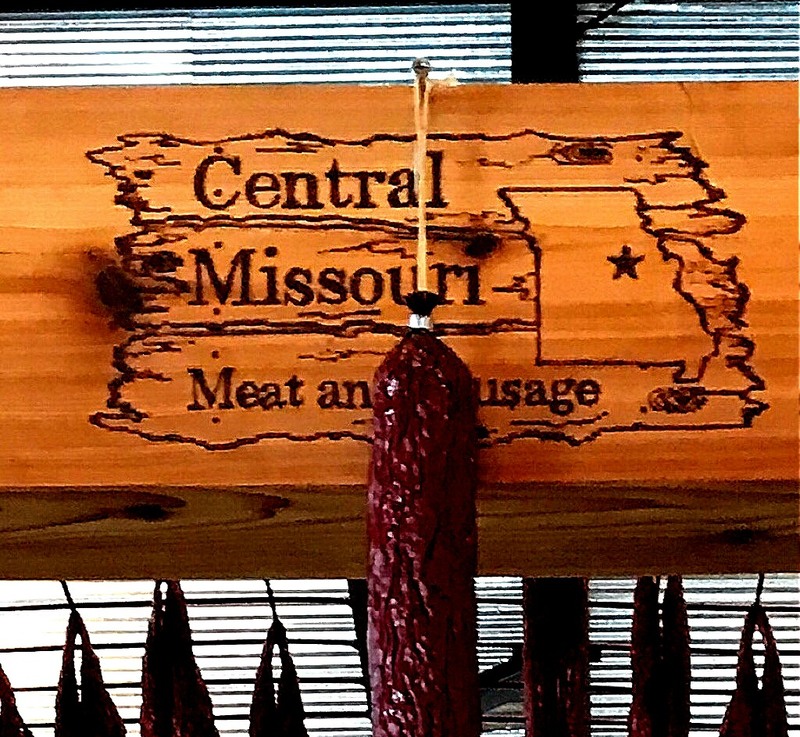 Located in the town of Fulton, Central Missouri Meat and Sausage is basically a one-stop location for all your meat needs. And, FYI, they make the best summer sausage I’ve ever tasted! In their Butcher Shop and Processing Center, they prepare meats from locally-raised stock. On the day I was there, they were packaging bacon they smoked on site. I bought a package, and it was wonderful. I used it to make my first BLT of the season! …and cutting up pork steaks. Next to the butcher shop is their Barnyard Steakhouse and retail store. I enjoyed our lunch very much. It started with crunchy fried pickles…. …and BBQ pulled pork nachos. For my lunch, I chose the smoked bratwurst. It was good, but my fellow travelers gave me samples of what they ordered, and I think I liked their picks better! The sticky burger is the most popular item on the menu. It is a BBQ seasoned and smoked pork patty. This is the Triple Down Sticky Burger, which is the pork patty topped with pulled pork and bacon. It was yummy! I will order this on my next visit. The smoked beef brisket sandwich was also tasty, as were all the side dished we ordered. Before leaving, I explored the retail store and went home with bacon and the house-made summer sausage, which are the fat tubes of deliciousness hanging on the lower part of the rack. I wish I’d bought more than one! I’ve always been a summer sausage fan, but seriously this is the best. It has a little kick to it, but not too much, and the flavor is gorgeous. I will make many return trips just to get this tasty treat.